Scars and burns come in many different shapes and sizes effecting people in many different ways. These physical changes to the skin can be physiologically challenging for some people to live with and yet not many people know that there are real solutions to clearing such skin trauma. As skin may seem permanently dis-figured, a clear choice in reversing damaged skin is to resurface and remodel scars and burns so that a new healing phase can re-establish better looking skin. 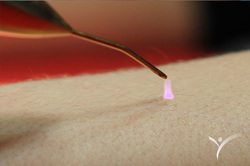 There are many characteristics in scars whether it be from surgery, accidents or simple scratching. All can be corrected and made to blend-in with normal skin texture and tone. Burn marks on the other hand can be a little more complicated but any improvement in reversing the disfigurement of burned skin ultimately helps. 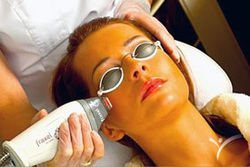 This is achieved by improving the texture and colour of the skin to minimise the skin damage effect from normal glance. 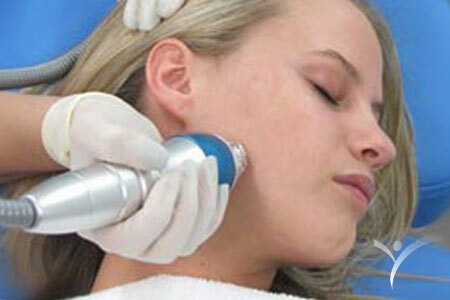 A gentle but highly effective laser treatment to target the source of Acne related skin issues with no downtime. Precision intra-dermal remodelling for severe Acne sufferers that will leave your skin free from excessive oil and bacteria. Designed to exfoliate and chemically degrade Acne related skin issues providing a rejuvenating and clarifying effect. 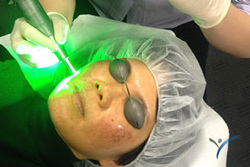 Phototherapy treatments should be part of every Acne clearance program, designed to sterilise skin from Acne bacteria.